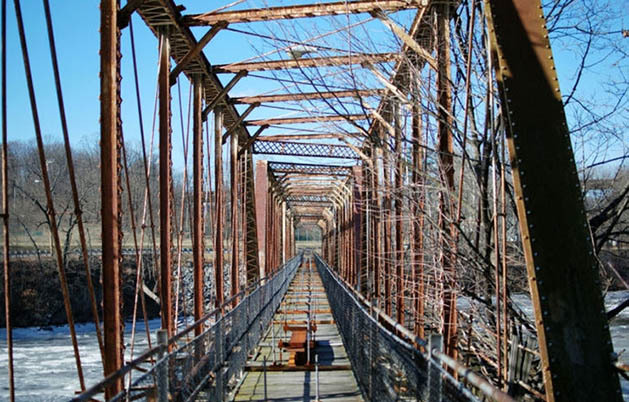 The village of Catskill will be breaking ground this month on its Catskill Creek Walking Loop. 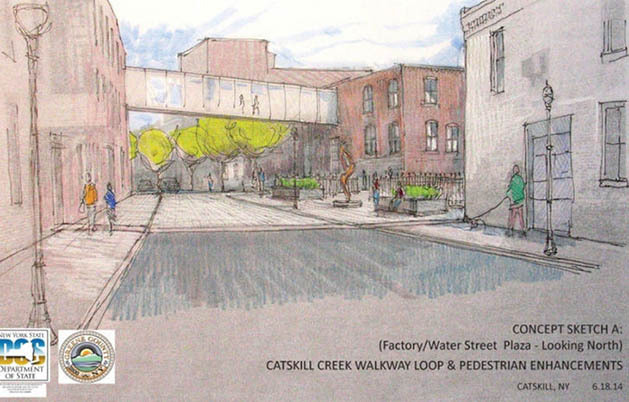 The half-mile long pedestrian pathway will connect Water Street, the Black Bridge, West Main Street and the Uncle Sam Bridge, as well as incorporating various lighting, boardwalks, benches and pocket parks. The project is expected to break ground on March 20 and be completed by July 28. It’s been more than a decade in the making, and was officially approved by the board in 2004. The first phase of the two-part project is expected to be completed by July 28. “Water Street may be partially closed during construction, but the road should remain open to traffic”, Bagshaw said. “The majority of the project is happening on the sidewalks or inside the county parking lot and school parking lot and not in the way of traffic”. Anne Lewis and Mariquita Reese of Catskill were pleased to hear Thursday that the plan for the walkway is going forward. The village has received a $600,000 grant (with a $200,000 match from Greene County and $50,000 from village) from the New York state Department of State for the Walking Loop and a $2.24 million grant from the state Department of Transportation (an additional $600,208 in funds were matched using federal funds and a village bond) for the rehabilitation of the Black Bridge — the second phase of the project. “Not only will it enhance the bridge so that pedestrians will be able to walk over it, but to remove those sewer lines that run across the bridge would have been too cost-effective to move,” Bagshaw said. Village officials are hoping that the finished project will attract more businesses to the area.